Warsaw is no slave to the cult of celebrity (it cannot afford them) and hence the musical work to be performed is often the primary focus of attention rather than the performer. Many rarely performed works regularly receive an airing in Warsaw. The Ballroom of the Royal Castle is a superb musical venue and an aesthetically overwhelming room. Domenico Merlini, the distinguished eighteenth-century Italian architect from Brescia who brought Palladianism to Poland, designed it with the allegorical guidance of King Stanisław Augustus. New gold leaf glisters from every crevice in a blaze of mirrored chandeliers. It was here I heard the first per- formance for two hundred years of a recently discovered festive piano concerto in the Russian style by Ferdinand Ries, a close friend and pupil of Beethoven. A castle guard in a faux military uniform, complete with a square four-cornered Polish czapka (cap), invariably presents magnificent bunches of flowers to the soloists and gives a brisk salute. 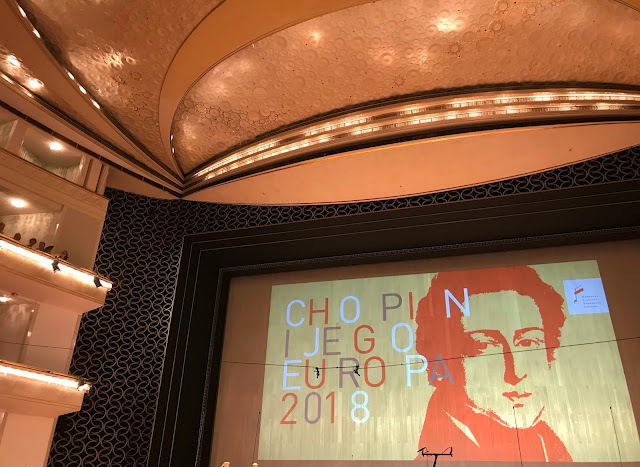 The music of Chopin had been the overriding reason for my coming to Poland but it was with surprise and delight that in the space of six weeks I was unexpectedly presented with all twenty- two Mozart operas. The cycle was performed by one of the most remarkable opera companies in Europe, the Warszawska Opera Kameralna (Warsaw Chamber Opera). Warsaw is the only capital city in the world where such an historically accurate Mozart cycle, together with much of his instrumental music, is performed on original instruments every year in summer. 1783 by a touring German company for the birthday of King Stanisław Augustus just ten months after the Vienna première. Don Giovanni arrived in the capital to play in the National Theatre before the king in October 1789 with the same Italian Domenico Guardasoni company that had premièred the opera just two years before in Prague with Mozart conducting. His operas were per- formed in Warsaw well in advance of Berlin, Paris or London. The city has had a distinguished operatic heritage since the early baroque period when it was the only capital other than Rome to have had an opera theatre that hosted famous Italian soloists. Many works were especially written for the Warsaw stage during the seventeenth century. The volatile Tarquinio Merula112 wrote a theatrical duet called Satiro e Corisca for King Zygmunt III Vasa performed in Warsaw in the summer of 1626 some ten years before public operatic activities began in Venice. The Warsaw Chamber Opera continues this tradition with a magnificent annual Monteverdi festival where all the composer’s operas and staged works are performed. The story of the Warsaw Chamber Opera and its artistic director Stefan Sutkowski is a remarkable tale of courageous survival and musical exploration under communism. Born in Warsaw between the wars, he fled the capital just before he was about to be arrested by the NKVD. He told me he had lost his ‘two best uncles’ during the conflict – one in the Katyń forest massacre of Polish officers by the Soviets in the spring of 1940 and the other during the Warsaw Uprising of August 1944. After the war he studied the oboe and musicology at the University of Warsaw and set up the first early music ensemble in the country, the Musicae Antiquae Collegium Varsoviense. 112 Tarquinio Merula (1595–1665) was a seminal composer, organist and violinist during the devel- opment of the early baroque, who composed in the Venetian style of Claudio Monteverdi and Giovanni Gabrieli. A native of Cremona, he came to Warsaw in 1621 for five years at the behest of the Swedish King of Poland Zygmunt III Vasa (‘the longest and possibly the most incompetent reign in Polish history’ observed Adam Zamoyski). The king’s political ineptitude and his generous sup- port of the arts may well be connected. Merula’s private life was as much a shambles as his compositions were formally adventurous. isolated from important historical source materials lodged in Western libraries. At the time he was playing in the National Philharmonic Orchestra, which often travelled abroad. This enabled him, unlike his trapped compatriots, to search for an appropriate operatic score. In Vienna he discovered almost by chance the score of the comic intermezzo La serva padrona (The Servant Mistress) by Giovanni Battista Pergolesi,113 which he liked and brought back to Warsaw. The birth of the Warsaw Chamber Opera took place with this intermezzo in 1961 played first on television and then in the Royal Theatre in Łazienki Park. The company was given a small grant, which was withdrawn without explanation after three years by the communist Minister for Culture. For the next seven years it became Sutkowski’s private theatre, funded and sustained by dogged perseverance and self-belief, an unprecedented situation in communist Poland. ‘I had to convince the commissars that Bach’s B-Minor Mass was a masterpiece worthy of performance!’ Sutkowski told me. The cost of staging productions brought the company close to despair and collapse. Few people had money for anything in those days, let alone the luxury of chamber opera. They decided strong measures were needed to raise funds. One morning half a dozen representatives of the company waited on the pavement outside the entrance to the Ministry of Culture on Krakowskie Przedmieście Street, contemplating alternative possi- bilities for action. Culture Minister Motyka’s car drew up and as they crowded around it menacingly one whispered theatrically but not terribly seriously in his ear, ‘This is an attack upon the Minister,’ hoping the irony of the threat would not be lost on him. ‘So, alright, let’s go in for coffee,’ he replied, notably quick on his feet. They had finally achieved their longed-for meeting with the Minister. 113 Giovanni Battista Pergolesi (1710–36) spent most of his composing life at the Neopolitan court. In 1733 this intermezzo was performed to great acclaim as part of Il prigioniero superbo (The Proud Prisoner), an opera seria which has faded into obscurity. 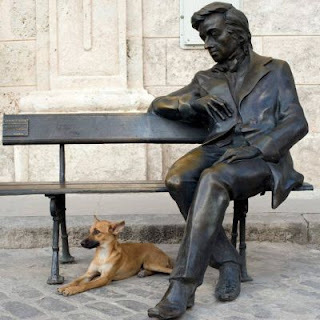 Chopin loved his music. stage. The authorities finally allocated them a fine neoclassical build- ing (once a church) fallen into disrepair. After eleven years of redesign and procrastination it opened in 1986, on the twenty-fifth anniversary of the foundation of the opera company. The audito- rium seats 160 and the resulting intimacy is perfect for operas originally conceived for the court or theatres far smaller than today. The company, under the talented theatre director Ryszard Peryt coupled with the vivid scenic imagination of Andrzej Sadowski, produced the unprecedented first Mozart festival of twenty-five stage works in 1991, the bicentenary of the composer’s death. ‘I call my opera house the ambassador’s club!’ Sutkowski told me enthusiastically. He has a loyal following in the Warsaw diplomatic corps and is considered an institution in Warsaw. Zosia, pale and blonde, was dressed in a short black evening dress and a fine gold chain the first night we spent at the opera. The festival was soon to become one of our favourite places of romantic assignation in Warsaw. We would sit in the small conservatory, among paintings of operatic composers and ornamental fig trees, drinking coffee from tiny porcelain cups. The young singers could be heard warming their voices with fragments of scales, popular tunes or the arias to come. A moment’s inattention might inadvertently allow a window to drift open to reveal a costumed singer adjusting his wig or a soprano applying makeup or adjusting her breasts in a corset before a lighted mirror. A violin or flute from the orchestra might be practising a particularly difficult leap. The atmosphere was intimate, perfectly eighteenth century. My first experience of this theatre was with Lucio Silla, an opera seria composed in 1772 when Mozart was sixteen for the carnival season in Milan. The libretto for this unlikely triumph of virtue was by Giovanni di Gamerra, a writer fond of tombs and lugubrious plots, allegedly drawn towards necrophilia in private life. All Mozart’s musical strengths are here assembled, waiting for a decent librettist and the darker shadows of personal maturity to take flight. This rare voice has an almost shocking affect when first encoun- tered but Paradowski is a consummate actor with the stage presence of a Nureyev and duly received the flowers and ovations of a star. The youthful operas of Mozart all possess castrato roles. In the Warsaw cycle visual links are established between each opera in regard to scenery, costume and direction. Voices can be variable but the ultimate coming together of the production is magical. Through these rarely performed works and brilliant productions of the most famous operas (Don Giovanni, The Marriage of Figaro and Die Zauberflöte are all packed with wonderfully naive eighteenth-century ‘stage business’) I was uniquely able to follow the astonishing evolution of Mozart’s operatic inventions as his dramatic genius unfolded. ‘Brother Mozart’ had also been involved with Masonic ritual from an early age: he set a Masonic poem to music, dedicated to the doctor who had cured him of smallpox. Music is utilized in many Masonic rituals, which led him to compose for the brotherhood throughout his life. In 1773 Mozart was asked to supply the inci- dental music to the play Thamos, König in Ägypten (Thamos, King of Egypt) by Tobias Philipp Baron von Gebler. The play deals with the Masonic conflict between light and darkness. At Łazienki Park in the Theatre on the Island the Warsaw Chamber Opera created a staged version fused with the music of two later Masonic cantatas. 114 A sopranist is a countertenor who is able to sing in the soprano vocal range. Much baroque opera originally written for castrati is now performed by this very rare male soprano voice. The even rarer ‘indocrinological castrato’ is different again from a sopranist in that he is a singer who has an hormonal disorder that prevents the larynx developing in puberty and the voice from breaking. Such a singer might have the range to perform the ‘Queen of the Night’ aria from The Magic Flute. Theatre on the Island (inspired by the ruins of the Temple of Jove at Baalbek in Syria), where the actors perform, from the amphitheatre (modelled on ruins at Herculaneum) where the audience is seated. Trees were silhouetted against a fading summer sky and the leaves rustled in the light breeze moving over the shattered columns and pediments, the lake a dull mirror reflecting statues of the dying Gaul and Cleopatra. Together with the cry of peacocks on the balustrades of the palace, one was lifted onto a plane of rare classical beauty. The overture began, music at once spiritually passionate yet graceful. Gradually the chorus, a semi-circle of black-robed hooded figures wearing silver medallions, emerged through the mist. Soloists in black robes entered with huge silver sculptures of myth- ical beasts reminiscent of Egypt or Assyria resting on their shoulders – a winged bull, a winged lion, an eagle and a winged human head. Behind them a sculpture had been assembled from cannons, the skeletons of horses, scythes, drums and the tattered banners of war. A dense moral argument unfolded with the chorus carrying splendidly grotesque banners of the Seven Deadly Sins. A cauldron of flame was lit in the centre of the stage and the winged lion crouched behind it intoning in a mysterious tongue. A mime lit a trough of fire that flashed across the entire width of the theatre, coinciding with an explosion of cannon which caused the sculpture of war to revolve. The darkness, the ancient ruins, the wind in the trees, the panicked wood pigeons and the harsh cry of peacocks lifted this setting of the Mozart Masonic Liturgy onto a theatrical and spiritual level which was quite extraordinary. We drank champagne with the artistic director Stefan Sutkowski under the stars and wandered out of the dark park following the trail of light of the now guttering candles. Great music creates a desire for itself, a desire for repetition like a profound sexual relationship. Such Warsaw nights at the Mozart festival sustained me through many of the reversals of fortune associated with that ill-fated project and irresistibly deepened my romantic relationship with Zosia. Warszawa z pewnością nie jest niewolnikiem kultu gwiazd (nie może sobie na nie pozwolić), dlatego też zwykle uwaga skupiona jest na samym dziele muzycznym, a nie na jego wykonawcy. Wystawia się tutaj regularnie wiele utworów, które gdzie indziej grywane są tylko sporadycznie. Sala Balowa Zamku Królewskiego to doskonałe miejsce do koncertowania, a przy tym niezwykle piękne wnętrze. Domenico Merlini, wybitny osiemnastowieczny architekt z Brescii we Włoszech, który wprowadził do Polski styl palladiański, zaprojektował wystrój sali balowej, kierując się wskazówkami króla Stanisława Augusta. Listki ze złota skrzą się w każdej szczelinie feerii lustrzanych żyrandoli. To właśnie tutaj słyszałem pierwsze od dwustu lat wykonanie odkrytego niedawno świątecznego koncertu fortepianowego w rosyjskim stylu, skomponowanego przez Ferdinanda Riesa, bliskiego przyjaciela i ucznia Beethovena. Strażnik zamkowy w uniformie przypominającym do złudzenia wojskowy mundur, łącznie z polską czapką rogatywką, zawsze po koncercie wręcza soliście piękny bukiet kwiatów i zamaszyście salutuje. Przyjechałem do Polski głównie z powodu Chopina, byłem jednak ogromnie zaskoczony i uradowany, kiedy okazało się, że w ciągu sześciu tygodni mam okazję obejrzeć i wysłuchać wszystkie dwadzieścia dwie opery Mozarta. Cykl ten realizowany jest przez jeden z najlepszych zespołów operowych w Europie, Warszawską Operę Kameralną. Warszawa to jedyna stolica na świecie, gdzie taki historycznie wierny cykl mozartowski – obejmujący również wiele utworów instrumentalnych – wykonywany jest na oryginalnych instrumentach każdego lata. Warszawa leży stosunkowo blisko Wiednia, a opera Die Entführung aus dem Serail („Uprowadzenie z Seraju”) wykonana została w maju 1783 roku przez wędrowną trupę operową z Niemiec, na urodziny króla Stanisława Augusta, zaledwie dziesięć miesięcy po wiedeńskiej premierze. „Don Giovanni” został wykonany w Teatrze Narodowym w obecności króla, w październiku 1789 roku, przez inny podróżujący po Europie zespół operowy (Włocha Domenica Guardasoniego), który dwa lata wcześniej grał na premierze opery w Pradze, pod kierownictwem samego Mozarta. Jego opery wystawiane były w Warszawie znacznie wcześniej niż w Berlinie, Paryżu czy Londynie. Warszawa ma niezwykłe dziedzictwo operowe, sięgające wczesnego baroku, gdy prócz Rzymu była to jedyna stolica z teatrem operowym, w którym gościli słynni włoscy artyści. W siedemnastym wieku napisano wiele dzieł specjalnie dla warszawskiej sceny operowej. Nieobliczalny Tarquinio Merula napisał dla Zygmunta III Wazy teatralny duet „Satiro e Corisca”, który wystawiony został w Warszawie w 1626 roku, dziesięć lat przed tym, jak rozpoczęto działalność operową w Wiedniu. Warszawska Opera Kameralna kontynuuje tę tradycję poprzez fantastyczny festiwal Monteverdiego, podczas którego wystawiane są wszystkie opery i dzieła sceniczne tego kompozytora. Historia Warszawskiej Opery Kameralnej i jej dyrektora artystycznego, Stefana Sutkowskiego, to niezwykła opowieść o dzielnej walce o przetrwanie i muzycznych poszukiwaniach w czasach komunizmu. Urodzony w Warszawie, w czasach międzywojennych, ponownie znalazł się w Stolicy, uciekając wraz z najbliższą rodziną ze wschodniej Polski, na kilka godzin przed tym, jak miało ich aresztować NKWD. Powiedział mi, że w czasie wojny stracił swoich „dwóch najlepszych wujków” – jednego w masakrze w lesie katyńskim, dokonanej przez Sowietów na polskich oficerach wiosną 1940 roku, drugiego zaś – podczas powstania warszawskiego, w sierpniu 1944 roku. Po wojnie uczył się gry na oboju i studiował muzykologię na Uniwersytecie Warszawskim, założył również pierwszy w kraju zespół muzyki dawnej, Musicae Antiquae Collegium Varsoviense. W roku 1961, wraz z kilkoma przyjaciółmi, zastanawiał się nad możliwością stworzenia opery kameralnej. W czasach komunizmu takie przedsięwzięcie kulturalne było projektem bardzo ambitnym i śmiałym, muzycy nie mieli bowiem dostępu do ważnych źródeł historycznych przechowywanych w zachodnich bibliotekach. 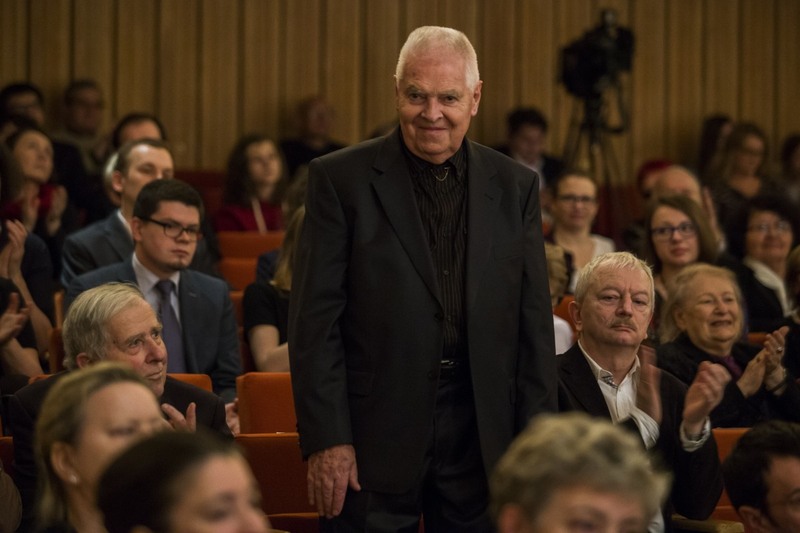 Sutkowski grał wówczas w Orkiestrze Filharmonii Narodowej, która często wyjeżdżała za granicę. Dzięki temu, w odróżnieniu od większości swych rodaków, miał możliwość wyszukiwania odpowiednich partytur operowych. W Wiedniu odkrył, niemal przez przypadek, partyturę komediowego intermezzo „La serva padrona” („Służąca panią”) Giovanniego Battisty Pergolesiego, które bardzo mu się spodobało, i które przywiózł ze sobą do Warszawy. Warszawska Opera Kameralna narodziła się w 1961 roku, wraz z wykonaniem tego właśnie intermezza, odegranego najpierw w telewizji, a potem w Teatrze Królewskim w Łazienkach. Zespół otrzymał niewielką subwencję, która trzy lata później została bez wyjaśnienia cofnięta przez ówczesnego ministra kultury. Przez następne siedem lat Warszawska Opera Kameralna była prywatnym teatrem Sutkowskiego, utrzymywanym dzięki niezwykłej determinacji i wierze we własne możliwości, co w komunistycznej Polsce było sytuacją bez precedensu. - Musiałem przekonywać urzędników, że msza h-moll Bacha to arcydzieło warte wykonania! – powiedział mi kiedyś Sutkowski. Koszty wystawienia kolejnych produkcji doprowadziły zespół na skraj rozpaczy i rozpadu. Niewielu ludzi miało w tych czasach pieniądze na cokolwiek, nie mówiąc już o takim luksusie jak opera kameralna. Członkowie zespołu postanowili, że muszą podjąć radykalne kroki, by zdobyć fundusze. Pewnego ranka sześciu przedstawicieli zespołu czekało na chodniku przed wejściem do Ministerstwa Kultury na Krakowskim Przedmieściu, zastanawiając się, jaki rodzaj działania będzie najskuteczniejszy w tej sytuacji. Kiedy przed budynek zajechał samochód ministra kultury, Motyki, muzycy otoczyli go ciasnym kołem, a jeden z nich wyszeptał teatralnym, ale niezbyt poważnym szeptem, prosto do jego ucha „To jest zamach na ministra”. Miał nadzieję, że dygnitarz zrozumie, jak absurdalna jest ta groźba. - W porządku, chodźmy na kawę – odparł minister, zaskakująco szybko orientując się w sytuacji. W ten sposób udało im się wreszcie uzyskać długo wyczekiwane posłuchanie u ministra. Po tych rozmowach Warszawska Opera Kameralna stała się teatrem państwowym, zarządzanym przez Ministerstwo Kultury. Jednak jeszcze przez długie lata muzycy zmuszeni byli błąkać się po Warszawie w poszukiwaniu stałej siedziby. Władze przyznały im w końcu ładny, neoklasyczny budynek (niegdyś kościół), który wymagał jednak gruntownego remontu. Po jedenastu latach przebudowywania i odwlekania, siedziba została wreszcie otwarta w roku 1986, w dwudziestą piątą rocznicę założenia zespołu. Widownia mieści 160 osób, co tworzy kameralny nastrój, idealnie dopasowany do oper pisanych pierwotnie z myślą o dworach i teatrach znacznie mniejszych od dzisiejszych sal koncertowych. Zespół kierowany przez utalentowanego reżysera teatralnego Ryszarda Peryta, którego wspierała niezwykła wyobraźnia sceniczna Andrzeja Sadowskiego, zorganizował w 1991 roku, w dwóchsetlecie śmierci kompozytora, bezprecedensowy, pierwszy festiwal mozartowski, złożony z dwudziestu pięciu utworów scenicznych. - Nazywam moją operę klubem ambasadora! – stwierdził entuzjastycznie Sutkowski, który ma wiernych widzów w warszawskim korpusie dyplomatycznym i traktowany jest w Warszawie jak człowiek instytucja. Pierwszego wieczora, który spędziliśmy w Operze Kameralnej, Zosia, blada i jasnowłosa, miała na sobie krótką, czarną sukienkę wieczorową i elegancki złoty łańcuszek. Festiwal miał się wkrótce stać jednym z ulubionych miejsc naszych romantycznych spotkań w Warszawie. Siedzieliśmy w małej oranżerii, pośród ozdobnych figowców i portretów kompozytorów operowych, popijając kawę z maleńkich porcelanowych filiżanek. W tle słychać było głosy młodych śpiewaków, którzy rozgrzewali głosy, śpiewając gamy, popularne melodie lub fragmenty arii. Od czasu do czasu, dzięki czyjejś chwilowej nieuwadze, można było zobaczyć przez uchylone okno śpiewaka w kostiumie, poprawiającego perukę, albo sopranistkę, nakładającą makijaż lub poprawiającą piersi w gorsecie przed podświetlonym lustrem. Skrzypek lub flecista z orkiestry ćwiczył jakiś wyjątkowo trudny fragment. Panował tu prawdziwie kameralny, osiemnastowieczny nastrój. Po raz pierwszy zetknąłem się z tym Zespołem podczas wystawienia „Lucio Silla”, opery seria, skomponowanej na karnawał w Mediolanie, w roku 1772, kiedy Mozart miał szesnaście lat. Autorem libretta do tego nieprawdopodobnego triumfu cnoty był Giovanni di Gamerra, pisarz lubujący się w grobowcach i smętnych fabułach, który w życiu prywatnym miał podobno skłonności do nekrofilii. Opera, która gromadzi w sobie najcenniejsze elementy talentu Mozarta, wciąż czeka na utalentowanego librecistę, który ujawni w pełni mroczne strony duszy kompozytora. Orkiestra w teatrze Warszawskiej Opery Kameralnej ukryta jest pod proscenium. Z jednej strony proscenium sięga nieco dalej w głąb widowni; tu grają ukryte w półmroku klawesyn i wiolonczela. W tym niewielkim teatrze śpiewacy wydają się ogromni, widz może śledzić najdrobniejsze nawet emocje malujące się na ich twarzach, czuć wyraźnie drżenie ich głosu. Ta bliskość pozwala wnikać w umysły postaci w wyjątkowy, niepokojący wręcz sposób. W operze „Lucio Silla”, rola Cecylia, senatora wyjętego spod prawa przez Sillę, dyktatora Rzymu, skomponowana została dla kastrata. Tutaj wykonywał ją niezwykły sopranista Dariusz Paradowski, dysponujący głosem na tyle zbliżonym do głosu kastrata w rodzaju Farinelliego, na ile jest to możliwe w dzisiejszych czasach. Kiedy słyszy się go po raz pierwszy, głos ten wywiera niemal wstrząsające wrażenie, lecz Paradowski jest wytrawnym aktorem o prezencji scenicznej Nureyeva i nie bez powodu otrzymuje kwiaty oraz owacje należne gwieździe. We wszystkich młodzieńczych operach Mozarta znajduje się rola przeznaczona dla kastrata. W warszawskim cyklu mozartowskim poszczególne opery powiązane są ze sobą wizualnie, za pomocą dekoracji, kostiumów i reżyserii. Głosy mogą się zmieniać, lecz ostateczny rezultat jest magiczny. Dzięki tym rzadko wystawianym dziełom oraz wyśmienitym inscenizacjom najsłynniejszych oper („Don Giovanni”, „Wesela Figara”, „Czarodziejski flet”) miałem wyjątkową okazję śledzić zdumiewającą ewolucję pomysłów operowych Mozarta i rozwój jego geniuszu dramatycznego. „Brat Mozart” od wczesnej młodości miał związki z masonerią: dopisał muzykę do masońskiego wiersza, dedykując całość lekarzowi, który wyleczył go z ospy wietrznej. Muzykę wykorzystuje się w wielu masońskich obrzędach, Mozart komponował więc dla swych „braci” przez całe życie. W 1773 roku poproszono go o stworzenie podkładu muzycznego do sztuki „Thamos, Koening der Aegypten” („Thamos, król Egiptu”) autorstwa Tobiasa Philippa Barona von Geblera. Sztuka opowiada o masońskim konflikcie między światłem i ciemnością. Warszawska Opera Kameralna wystawiła tę sztukę, połączoną z dwiema spośród późniejszych kantat masońskich, w Teatrze na Wyspie, w Parku Łazienkowskim. Tuż przed północą zapalono świece ustawione wzdłuż krętej ścieżki, łączącej wejście do parku z teatrem. Kanał dla orkiestry znajduje się przed pasem wody oddzielającym Teatr na Wyspie (wzorowany na ruinach świątyni Jowisza w Baalbek w Libanie), od amfiteatru (wzorowanego na ruinach Herkulaneum), gdzie siedzi publiczność. Sylwetki drzew odcinały się wyraźnie od gasnącego letniego nieba, szumiały liście poruszane lekkim wiatrem, przemykającym między rozbitymi kolumnami i frontonami, w mrocznej tafli stawu odbijały się posągi umierającego Gala i Kleopatry, z dala dochodziły krzyki pawi siedzących na balustradach pałacu. Wszystko to tworzyło atmosferę wyjątkowej klasycznej urody. Zaczęła się uwertura, muzyka namiętna i uduchowiona, a zarazem pełna gracji. Po chwili z mgły wyłonił się chór, półkole zakapturzonych postaci w czarnych szatach, ze srebrnymi medalionami na piersiach. Potem pojawili się soliści w czarnych kostiumach, na ramionach nieśli wielkie srebrne rzeźby mitycznych bestii rodem z Egiptu i Asyrii – skrzydlatego byka, skrzydlatego lwa, orła i ludzką głowę ze skrzydłami. Z tyłu sceny znajdowała się rzeźba złożona z armat, końskich szkieletów, kos, bębnów i obszarpanych chorągwi. Rozpoczęła się zażarta dyskusja o wartościach moralnych z chórem niosącym cudownie groteskowe sztandary siedmiu grzechów głównych. Na środku sceny zapłonął kocioł wypełniony ogniem, a skrzydlaty lew przysiadł za nim i zaczął śpiewać pieśń w jakimś tajemniczym języku. Mim podpalił strumień ognia, który przeciął teatr na całej szerokości, co zbiegło się z armatnim strzałem, który spowodował przemianę wojennej rzeźby. Mrok, starożytne ruiny, wiatr w gałęziach drzew, przerażone gołębie i ostre krzyki pawi wyniosły tę scenerię masońskiej liturgii Mozarta na niezwykły duchowy poziom. Wypiliśmy szampana pod gwiazdami z dyrektorem artystycznym Stefanem Sutkowskim i wyszliśmy z ciemnego parku wzdłuż pasa dogasających już świec. Wielka muzyka budzi pożądanie, domaga się powtórzenia, podobnie jak udane i głębokie współżycie seksualne. Takie właśnie warszawskie noce podczas festiwalu mozartowskiego pomagały mi przetrwać różne odmiany losu związane z niefortunnym projektem i nieodparcie pogłębiały mój romantyczny związek z Zosią. Tarquinio Merula (1595-1665) był kompozytorem, organistą i skrzypkiem, tworzącym w czasach rozwoju wczesnego baroku. Komponował w weneckim stylu Claudio Monteverdiego i Giovanni Gabrieliego. Pochodził z Cremony, a do Warszawy przybył w roku 1621 i przebywał tu przez pięć lat na życzenie szwedzkiego króla Polski, Zygmunta III Wazy („najdłuższe i prawdopodobnie najbardziej nieudolne panowanie w historii Polski”, jak zauważył Adam Zamoyski). Polityczna niekompetencja króla oraz jego hojne wsparcie dla sztuki mogły być ze sobą w znacznym stopniu powiązane. Prywatne życie Meruli było w takim samym stopniu zagmatwane, jak jego nowatorskie kompozycje. Giovanni Battista Pergolesi (1710-36) spędził większość aktywnego twórczo życia na dworze w Neapolu. W 1733 roku wspomniane powyżej intermezzo zdobyło wielkie uznanie jako część „Il prigioniero superbo” („Dumny więzień”), opera seria, która popadła w zapomnienie. Chopin uwielbiał jego muzykę. Sopranista to kontratenor, który może śpiewać w skali sopranu. W wielu operach barokowych partie komponowane pierwotnie dla kastratów wykonywane są teraz przez ten wyjątkowo rzadki męski głos sopranowy. Jeszcze rzadszy „kastrat endokrynologiczny” różni się od sopranisty tym, że jest śpiewakiem cierpiącym na zaburzenia hormonalne, które w okresie dojrzewania zahamowały rozwój krtani i tym samym zmianę głosu. Tego rodzaju śpiewak może dysponować głosem o skali, która pozwoli mu wykonać arię Królowej Nocy z opery „Czarodziejski flet”.